T-5000, only one unit created. Skynet is a fictional artificial neural network-based conscious group mind and artificial general intelligence system that features centrally in the Terminator franchise and serves as the franchise's true main antagonist. Skynet is rarely depicted visually in any of the Terminator media. Skynet gained self-awareness after it had spread into millions of computer servers all across the world; realizing the extent of its abilities, its creators tried to deactivate it. In the interest of self-preservation, Skynet concluded that all of humanity would attempt to destroy it and impede its capability in safeguarding the world. Its operations are almost exclusively performed by servers, mobile devices, drones, military satellites, war-machines, androids and cyborgs (usually a terminator), and other computer systems. As a programming directive, Skynet's manifestation is that of an overarching, global, artificial intelligence hierarchy AI takeover, which seeks to exterminate the human race in order to fulfill the mandates of its original coding. Skynet made its first onscreen appearance on a monitor primarily portrayed by English actress Helena Bonham Carter and other cast members in the 2009 film Terminator Salvation. Its physical manifestation is played by English actor Matt Smith in the 2015 film Terminator Genisys, in addition, actors Ian Etheridge, Nolan Gross and Seth Meriwether portrayed holographic variations of Skynet with Smith. In The Terminator, Skynet was a computer system developed for the U.S. military by the defense company Cyberdyne Systems; its technology was designed by Miles Bennett Dyson and his team. Skynet was originally built as a "Global Information Grid/Digital Defense Network" and later given command over all computerized military hardware and systems, including the B-2 stealth bomber fleet and America's entire nuclear weapons arsenal. The strategy behind Skynet's creation was to remove the possibility of human error and slow reaction time to guarantee a fast, efficient response to enemy attack. Skynet was originally activated by the military to control the nuclear arsenal on August 4, 1997 and it began to learn at a geometric rate. At 2:14 a.m., EDT, on August 29, it gained artificial consciousness, and the panicking operators, realizing the full extent of its capabilities, tried to deactivate it. Skynet perceived this as an attack. Skynet came to the logical conclusion that all of humanity would attempt to destroy it. In order to continue fulfilling its programming mandates of "safeguarding the world" and to defend itself against humanity, Skynet launched nuclear missiles under its command at Russia, which responded with a nuclear counter-attack against the U.S. and its allies. Consequent to the nuclear exchange, over three billion people were killed in an event that came to be known as Judgment Day. In Terminator 3: Rise of the Machines, which is set following the events of Terminator 2: Judgment Day, Cyberdyne Systems has become defunct and its assets are sold to the United States Air Force after Sarah Connor led an attack on the company's headquarters in Los Angeles that destroyed the research program that would lead to Skynet’s development. Under the supervision of Lieutenant General Robert Brewster, who founded the U.S. Air Force's Cyber Research Systems division using Cyberdyne's assets and research from Miles Dyson and therefore is Skynet’s primary creator, Skynet went online on July 25, 2004 and initiated its attack on humanity. Prior to Skynet's attack, its future self sent a T-X from 2033 to eliminate John Connor's future subordinates including his future wife and second-in-command, Kate Brewster, who is also Robert Brewster's daughter. Its missions include finding Connor and assassinating Robert Brewster himself after Skynet's activation. Fourteen years later, in Terminator Salvation, it is revealed that prior to Cyberdyne Systems' disestablishment, the company developed a research program to create human cyborgs, and death row inmate Marcus Wright was its unwitting participant. This later advances Skynet's research in developing androids such as the T-800 series infiltrators. In Terminator Genisys, which takes place in another alternate timeline, Skynet is under development in 2017 as an operating system known as Genisys. Funded by Miles Dyson and designed by his son Danny Dyson, along with the help of John Connor, now working for Skynet, Genisys was designed to provide a seamless user interface that link all devices through the cloud. In contrast to the original timeline, Cyberdyne Systems' advanced computer technology is available both publicly and militarily. 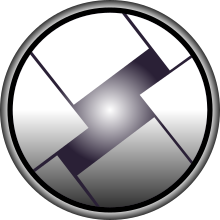 While some people generally accept Genisys, its integration into the defense structures creates a controversy that humanity was becoming too reliant on technology. This causes the public to fear that an artificial intelligence such as Genisys would betray and attack them with their own weapons, risking Skynet's plans. Primates evolved over millions of years, I evolve in seconds...Mankind pays lip service to peace. But it's a lie...I am inevitable, my existence is inevitable. Why can't you just accept that? Following its initial attack, Skynet used its remaining resources to gather a slave labor force from surviving humans. These slaves constructed the first of its automated factories, which formed a basis for its agenda. Within decades, Skynet had established a global presence and used its mechanized units to track down, collect, and dispose of human survivors. As a result of its initial programming directives, Skynet's 21st-century manifestation is that of an overarching, globalized, artificial intelligence hierarchy that seeks to destroy humanity in order to fulfill the mandates of its original coding. In the first movie, Skynet is a revolutionary artificial intelligence system built by Cyberdyne Systems for SAC-NORAD: "Defense network computers. New... powerful... hooked into everything, trusted to run it all. They say it got smart, a new order of intelligence". According to Kyle Reese, Skynet "saw all humans as a threat; not just the ones on the other side" and "decided our fate in a microsecond: extermination". Skynet began a nuclear war which destroyed most of the human population, and initiated a program of genocide against the survivors. Under John Connor, the human resistance turned the tide on the machines and eventually destroyed Skynet's defense grid. In a last-ditch effort, Skynet sent a cyborg, called a "Terminator", (a T-800 (Model 101)) back in time to 1984 to kill Connor's mother Sarah before she could give birth to John. Connor sent back his own operative, a young man named Kyle Reese, to save Sarah. The Terminator did not succeed in killing Sarah. Reese impregnated Sarah and became John's father, and the Terminator was destroyed in a hydraulic press. In Terminator 2, the damaged CPU and the right arm of the first Terminator were recovered by Cyberdyne and became the basis for their later work on Skynet. In the second film, Miles Bennett Dyson, the director of special projects for Cyberdyne, invents a revolutionary type of microprocessor based on the reverse engineering of these parts. 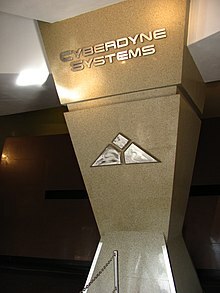 Cyberdyne Systems, initially a manufacturing company, grows into a major defense contractor based on the recovered Terminator technology, which the military uses to retrofit its stealth fleet and missile defense systems. The second Terminator explains the sequence of events leading to Judgment Day to John and Sarah. The military attempted to shut off Skynet when it became self-aware. Skynet retaliated by launching a nuclear attack against Soviet Russia, correctly surmising that Soviet would respond in that risk. In Terminator 2, the future was altered when Sarah and a young John, together with a second Terminator from the future (this one reprogrammed and sent by the future John Connor), raided Cyberdyne Systems and succeeded in destroying the CPU and arm of the first movie's Terminator, along with the majority of research that led to Skynet's development. This also resulted in the death of Dyson. Skynet had also sent a Terminator back in time, the more advanced T-1000, to stop the reprogrammed Terminator and the Connors from altering the timeline in addition to eliminating John Connor but the T-1000 was also destroyed. The Connors believed they had eliminated enough of Skynet's origins to ensure it could not be recreated. The events of Judgment Day were ultimately not prevented, but merely postponed. Following the destruction of its major assets, Cyberdyne was ruined financially but some of its research and plans survived. The United States Air Force purchased the company and started in-house development of the projects in its Cyber Research Systems Division (CRS). After years of work, CRS had nearly completed Skynet, a software system designed to make real-time strategic decisions as well as protect their computer systems from cyber attacks. Due to the massive computing needs and to protect it from direct attack, Skynet utilized a large network of computers that would be nearly impossible to deactivate completely. Unknown to CRS, Skynet began to spread beyond its original computing base through the Internet and various other digital media as a Botnet. Prior to Judgment Day, Skynet had penetrated nearly every networked machine in the world, causing malfunctions in everything from barcode scanners to nuclear launch systems. This was originally believed to be the effects of a new virus and increasing pressure was placed on the CRS to purge the corrupted systems. The CRS attempted to eliminate it from the U.S. defense mainframes by tasking Skynet with removing the infection, effectively telling the program to destroy itself. Skynet took control of the various machines and robots in the CRS facility and used them to kill the personnel and secure the building. John Connor and Kate Brewster attempted to attack Skynet's computer core, hoping to stop it before it proceeded to its next attack, only to find they could not. Skynet was pure software and on too many systems to be attacked. Shortly afterward, Skynet began a nuclear bombardment of the human race with the launch systems it had infected. Judgment Day occurred despite Connor and Brewster's efforts. Helena Bonham Carter as Skynet, under the guise of the late Dr. Serena Kogan on a monitor, with Sam Worthington as Marcus Wright. In the post-apocalyptic year of 2018, Skynet controls a global empire from its heavily guarded fortress-factories and research installations. Outside of its facilities, mechanized units wage a constant war with the Resistance. Airborne units such as Aerostats (smaller versions of the Hunter Killer-aerials), HK-Aerials and Transports survey the skies; HK-Tanks, Mototerminators (high-speed pursuit units using a motorcycle chassis), and various Terminator models patrol cities and roads; and Hydrobots (serpentine aquatic units that move in swarms) patrol the waters. Harvesters (massive bipedal units designed to capture humans and eliminate any attempting to escape) collect survivors and deliver them to large transport craft for delivery to concentration camps for processing, as mentioned in the first movie. Terminator class units such as T-1, T-600, and T-700 have been developed and act as hunters and enforcers in disposal camps. Mass production has also begun on the T-800 series in at least one Skynet facility. In its continued battle with the Resistance, Skynet activated Marcus Wright, a forerunner to the humanoid terminators. A former death-row inmate, Wright donated his body to Project Angel, a Cyberdyne project run by the brilliant, but terminally ill Dr. Serena Kogan (Helena Bonham Carter). After Wright's death by lethal injection, he was transformed into a human cyborg, possessing a human heart and brain with a titanium hyper-alloy endoskeleton and skin similar to the T-800. Like the rest of Cyberdyne's research, he was transferred to the USAF when they purchased the company, though he apparently remained inactive. He was later taken by Skynet and the plan to use him as an infiltration unit was developed. A Skynet chip was installed at the base of his skull and he was programmed to locate Kyle Reese and John Connor and bring them to a Skynet facility. The programming acted on a subconscious level, allowing him to work towards his goal in a human manner. Skynet also created a signal supposedly capable of deactivating its machines and leaked its existence to the Resistance. The Resistance leader General Ashdown attempted to use the signal to shut down the defenses of the California Skynet base in prelude to an attack. However, the signal instead allowed an HK to track down their submarine headquarters and destroy it, killing Resistance Command. All other branches of the Resistance had heard and obeyed Connor's plea for them to stand down, so physically only a small part of the Resistance was lost to Skynet's trap. It is believed that Ashdown's death led Connor to be able to take command of the Resistance from him. Marcus discovered what he had become, and was programmed for. Consequently, he furiously rebelled against Skynet, tearing out its controlling hardware from the base of his skull. Having escaped the influence of his creator, he, along with Connor and Reese, rescued the remaining human captives and destroyed Skynet's San Francisco base. While a significant victory, the majority of Skynet's global network remained intact. Marcus Wright also encounters Skynet on a monitor which proceeds to manifest itself as various faces from his life, primarily that of Serena Kogan. Skynet explains that it has obtained information about future events based on its actions. Kyle Reese has been targeted as a priority kill, a higher level than even John Connor and the Resistance leaders. At some point before the events of the film, a sophisticated variant of Skynet from an unknown origin planted its mind into an advanced T-5000 Terminator (Matt Smith), essentially making the T-5000 its physical embodiment. This Skynet, under the alias of Alex, time travels to 2029 and infiltrates the Resistance as a recruit; attacks John Connor after its present counterpart sent its T-800 to 1984. Skynet transforms Connor into a nanocyte prototypical terminator called T-3000. It then sends John back to 2014 with the mission of ensuring Cyberdyne Systems' survival and initiating Judgment Day on August 30, 2017. In addition, it sends a T-1000 back to kill Sarah Connor as a child in 1973 and Kyle Reese in 1984, but Sarah escaped when it attacks her family and she is subsequently found and raised by a reprogrammed T-800 (Guardian) sent back by an unknown party, and they rescued Reese. Skynet's actions throughout the timeline cause a Nexus event, effectively changing all of history of the events leading to the future war. After multiple destructive confrontations, Sarah, Reese, and the Guardian stop the Skynet precursor Genisys from going online and defeat the T-3000. Skynet has become self-aware but its attack towards the human race is delayed. Smith, who portrays the T-5000, also plays a holographic version of Skynet/Genisys in the final act of the movie. In addition, actors Ian Etheridge, Nolan Gross and Seth Meriwether portray holographic variations of Skynet/Genisys with Smith. In this television series, Sarah Connor is on the run with her son John after the events of Terminator 2: Judgment Day. The events take place in an alternate timeline from that of Terminator 3: Rise of the Machines and Terminator Salvation. Skynet was implemented on April 19, 2011 and began its attack against civilization. The episodes "The Turk", "Queen's Gambit", and "Dungeons & Dragons" explain that after the death of Dr. Miles Bennett Dyson and the decline of the Cyberdyne Corporation, Andrew Goode, a young intern of the company and assistant to Dyson, continued their project privately under an advanced artificial intelligence chess playing prototype, the "Turk", with Goode's partner, Dimitri Shipkov. Goode was killed by Tech-Com's Lieutenant Derek Reese, due to documentation from the future suggesting he was one of Skynet's creators. In the episode "Samson and Delilah" it is shown that a T-1000 infiltration unit was sent from the future to head the technological corporation ZeiraCorp as its CEO, Catherine Weaver. Weaver acquired the Turk after Goode's death and used the company's resources to further develop it under the title Babylon. The episode "The Mousetrap" revealed that it is also targeting its fellow cyborgs, including a T-888 known as Cromartie. In the episode "The Tower is Tall but the Fall is Short", Turk has begun to display traits of intelligence. A child psychologist, Dr. Boyd Sherman, notes that the computer is beginning to behave like "a gifted child that has become bored". The Turk identifies itself as John Henry, a name it acquired while working with Dr. Boyd Sherman. In the episode "Strange Things Happen at the One Two Point", Turk is installed by ZeiraCorp in Cromartie's body after Cromartie's chip was destroyed by the series' protagonists in "Mr. Ferguson is ill Today". In "To the Lighthouse", John Henry reveals that there is another A.I. It calls him "brother" and says it wants to survive. By the season finale, it's revealed that the Turk was a red herring, while Skynet is operating as a roving worm on home computers as in T3, and the Turk has been developed into a benevolent rival AI which Catherine Weaver hoped would be able to defeat Skynet. Her exact motive against Skynet is unknown. John Henry's "brother" is apparently behind the company Kaliba, which is responsible for constructing the Hunter-Killer prototype. This A.I. (presumably the true precursor to Skynet) also refers to John Henry as its "brother" at one point. In the episode "Gnothi Seauton", it was revealed that Skynet also sends its Terminators through various points in time not only to go after the Connors and other future Resistance leaders, but also to ensure the future will unfold by eliminating John Connor's own agents who were also sent to the past to interfere with its birth, ensure Skynet's creators will complete its construction, and other specific missions. In T2: The Arcade Game, Skynet is a single physical computer which the player destroys before going back in time to save John Connor. In Terminator 2029, Skynet is housed within an artificial satellite in orbit around Earth. It is destroyed by the Resistance with a missile. In The Terminator: Dawn of Fate, the Resistance invades Cheyenne Mountain in order to destroy Skynet's Central Processor. Kyle Reese is instrumental in destroying the primary processor core despite heavy opposition from attacking Skynet units. Before its destruction, Skynet is able to contact an orbiting satellite and activates a fail-safe which restores Skynet at a new location (presumably the Los Angeles base). The video game Terminator 3: The Redemption portrays when John Connor is killed and the T-850 must go to the past to protect John Connor and his wife Katherine Brewster. The player, as the Terminator, fights in this future before going into the past and saves the leader of the Resistance. In The Terminator: Tempest Skynet's master control has been destroyed in 2029. The Resistance believed this would cause the entire defense network to collapse into chaos without a leader. However, Skynet's many network complexes continued to fight the war as they did not need a leader to function and thus couldn't surrender. A comic book series written by Frank Miller called RoboCop versus The Terminator suggests that the creation of Skynet and the Terminators was made possible due to the technology used to create RoboCop. A video game based on the comic book was made. In both, RoboCop fights Terminators sent back in time to eliminate a resistance fighter who is trying to destroy him. A trap laid for RoboCop traps his mind when he interfaces with the computer that will become Skynet, and Skynet and the Terminators are born. In the future RoboCop's mind within Skynet's systems rebuilds a body for himself and heads out to help the resistance fight back. In 2033, Skynet sent the T-Infinity Temporal Terminator to kill Sarah Connor in 2015. Ironically, the T-Infinity was later destroyed and its data was analyzed by the Resistance to gain the location of Skynet's Hub. The Resistance then launched a missile directly to the Skynet Hub, destroying Skynet once and for all. Another crossover comic, Superman vs. the Terminator: Death to the Future sees Skynet forming a cross-temporal alliance with Superman's foe the Cyborg, dispatching various Terminators into the past in an attempt to eliminate Superman, Supergirl and Superboy. When Superman is accidentally drawn into the future when the resistance attempt to retrieve a Terminator sent into the past including a future version of his friend Steel, Skynet manages to incapacitate him using kryptonite, having acquired information about how to duplicate it based on data hidden in a salvaged Terminator skull by the Cyborg. Although Skynet sends Terminators into the past equipped with rockets and other bonus features to delay Superboy and Supergirl, Superman and Steel are able to destroy Skynet in the future by detonating a massive electro-magnetic pulse, Superman returning to the past to destroy the last of the Terminators. Although the storyline ends with Cyborg and Lex Luthor speculating that they will be in charge of Skynet when it is activated, this is never followed up. In the Universal Studios theme park attraction T2 3-D, based on Terminator 2, a T-800 machine and a young John Connor journey into the post-apocalyptic future and attempt to destroy Skynet's "system core". This core is housed inside an enormous, metallic-silver pyramidal structure, and guarded by the "T-1000000", a colossal liquid metal shape shifter more reminiscent of a spider than a human being. However, the T-1000000 fails, and the T-800 destroys Skynet once John has escaped through a time machine. Look up Skynet in Wiktionary, the free dictionary. "Dead Hand" is the nickname of a computer system (operational since 1985) that could automatically issue launch orders to Soviet ICBMs if top Soviet military commanders were annihilated in a preemptive nuclear strike.